Featuring an intricate floral design by Michele Aubourg, this elegant cup is white with a delicate illustration of Japanese cherry blossom entwined across the exterior. The pink blossom also features inside the rim and coiled around the footed base. 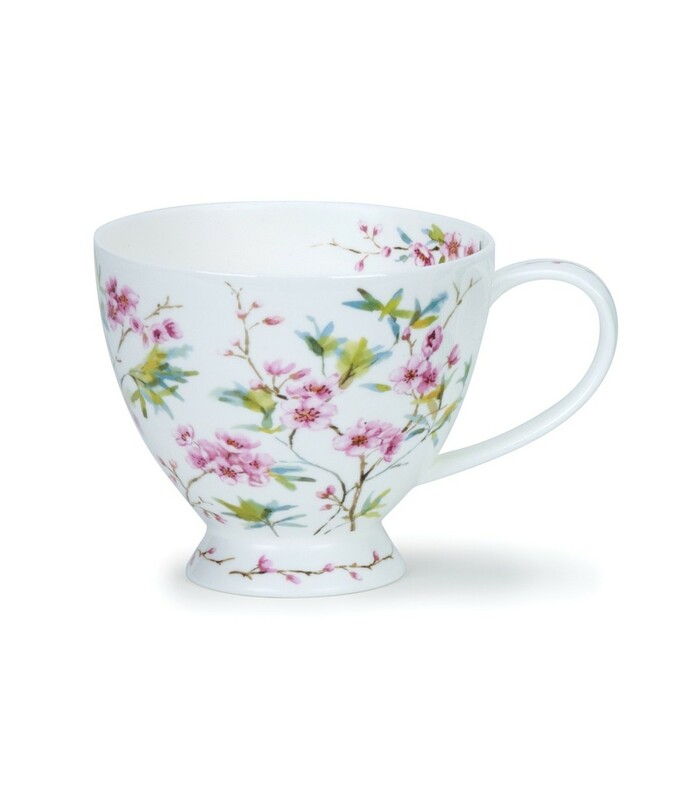 This is a lovely cup to drink from, adding a sense of spring and new beginnings to the kitchen.